Research associates Dara Wasserman, Nicole Fleming and Sylvia Salazar provided nine lectures on brain health and dementia to over 250 community-dwelling Asian older adults earlier this year. 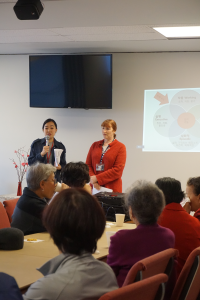 Organized in partnership between the OHSU Layton Aging and Alzheimer’s Disease Center and the Asian Health & Services Center (AHSC), the lectures were translated into Cantonese, Korean, Mandarin and Vietnamese. 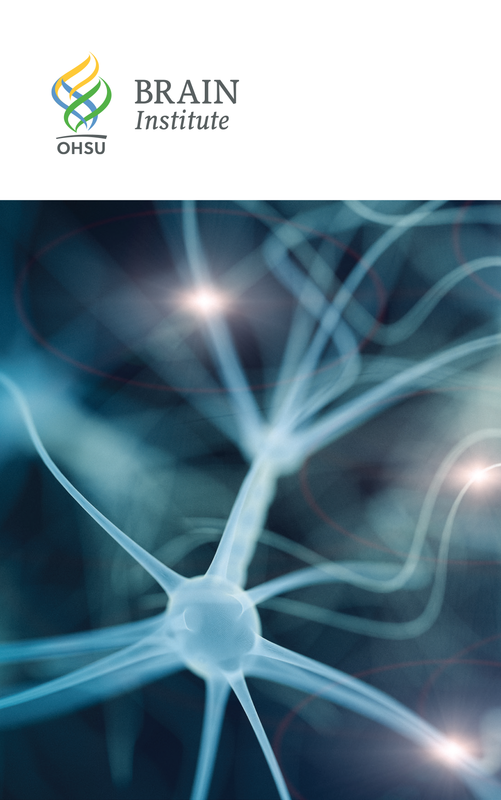 The community learned about the work of the Layton Center and about the brain, including different types of memory and the differences between dementia – a brain disease – and age-related memory changes. Researcher Dara Wasserman and a translator at a recent lecture. Originating last year, lectures continued and reached participants at community centers and churches across Beaverton and Portland. Working together with interpreters, the Layton Center team discussed signs and symptoms of the disease, offered tips for talking to doctors and explained what patients should expect at a dementia screening appointment. The Layton Aging and Alzheimer’s Disease Center is here to support patients, caregivers and families and healthcare providers. We provide educational programs for the public and health care professionals to increase awareness and understanding of Alzheimer’s and healthy brain aging. According to the AHSC, Asians have the second-highest rate of mortality among all ethnicities for Alzheimer’s disease and dementia. As a group, Asian-Americans have a longer life expectancy compared to other groups, which raises their risk for age-related conditions like dementia. Ona Golonka is the Research Communications Coordinator for the Oregon Center for Aging and Technology (ORCATECH).